I’m currently heading the E-Learning Centre at the University Computing Centre of the University of Zagreb and E-learning Office of the University of Zagreb, central support units for the implementation of E-learning in Higher Education. I’m working on promotion and implementation of the E-learning at the University of Zagreb, monitoring and coordination of its implementation and providing support and advice to institutions, teachers and students in implementation of new technologies in learning and teaching process. I was one of the initiators of the Tempus project EQIBELT “Education Quality Improvement by E-learning Technology”at the University of Zagreb which was approved by European Commission and my responsibility was its enforcement. In 2012 I was leading the project on the Use of e-portfolio in the educational system at the University of Zagreb which is done cooperation with the University of Porto, Portugal. Also, I’m the organiser of the study visits within the LLL Programmes of the EU at the University Computing Centre (in 2012 and 2013). I’m member of the University of Zagreb Committee for the E-learning and I have been recently appointed to the University of Zagreb working group for the Development of the Strategy of studies and studying. 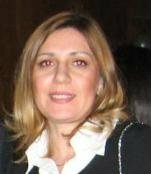 Prior to current position, I was working for ten years at the University of Zagreb as the Coordinator for Development and Implementation of Information and Communication Technologies. Working closely to University Management I had possibility to observe closely functioning of the University itself and Academic Community as well and to contribute extensively to its development in Information and Communication Technologies as well as lecturing for seven years at the College. My professional interests are in E-learning policy, Educational Technology and Quality of Education. I am especially interested in international collaboration, sharing of knowledge and establishing long-term e-learning network. In 2011 I have received Rector’s award for successful and motivated work on the development and systematic implementation of e-learning at the University of Zagreb. Parallel to my work at the University, I’m also studying E-learning Msc at the University of Edinburgh, UK and I’m really enjoying it.